The portfolio of Veterans’ Affairs has been historically undervalued in New Zealand government. In fact, during the previous National-led government the role was not even included inside Cabinet as then-Minister for Veteran’s Affairs David Bennet sat as a Minister outside Cabinet. This incumbent Labour-New Zealand First Government has taken a different approach, on the other hand. The designated Minister for Veterans’ Affairs, the Hon. Ron Mark, not only sits as a Minister inside Cabinet but has also been noticeably active compared to his colleagues. This blog outlined the significant wins Mark has claimed for veterans earlier this year, including commitment to repatriate the bodies slain veterans buried overseas and added funding for veterans’ support services. Last May, the Minister presided over the turn-over of three fallen warriors brought back to New Zealand from the Pacific – this month, he was joined by the Rt. Hon. Prime Minister Jacinda Ardern to welcome home an even larger contingent of 27 deceased soldiers and one child dependent. The bodies were exhumed and repatriated from Malaysia and Singapore, these servicemen were among those who served during the Malayan Emergency in the 50s and 60s. These 27 (plus one) are part of the Veterans’ Affairs Minister’s wider program of repatriation dubbed “Te Auraki” (The Return) and Mark has already declared that a total of 36 bodies will be brought home by October this year. Future tranches of repatriation include two bodies currently buried in the United Kingdom and will be returned by late-September, and another two fallen servicemen buried in South Korea and are expected to arrive home by early-October. Te Auraki was projected to cost up to $10 million, but recent estimates have pegged the figure much lower at $7 million. The Minister also pledged to contribute as much as $1,000 for each veteran repatriated to help cover memorial services their families may want to have. This current Government policy differs from the standpoint held by the previous National-led government, which was widely criticized by families of deceased veterans and by the Returned Services Association (RSA) for their inaction regarding repatriating the remains of soldiers. In October 2016, then-Minister for Veterans’ Affairs Craig Foss announced that his government would now consider repatriating up to 100 remains buried overseas. Several months later, the new Minister David Bennett then announced that the government of the day would shoulder the repatriation expenses rather than the bereaved families. That change in policy was brought by constant lobbying by the RSA and families of the fallen soldiers. The official government policy from 1899-1955 was for slain veterans to be buried close to where they perished, rather than to be brought back home. By 1955, their remains could be repatriated back to New Zealand but only at the cost of their surviving families. That policy changed again in 1971, when the Government announced they would now shoulder the expenses for repatriating the bodies of deceased veterans overseas – however, it was not backdated to cover those who were buried between 1955-1971. The prospect of seeing the remains of those fallen veterans be brought back home was moot until that announcement by National in 2016, however no such return occurred until this current Government got elected. Today, a fully-funded government-led program exists (Te Auraki) with the sole purpose of bringing our veterans home. A lot of credit should go to the Minister of the day, the Hon. Ron Mark, who himself is a veteran – retiring with the rank of Major from the New Zealand Army. It explains why he approaches his work with such passion, being able to empathize with veterans as he is one himself. Besides the repatriations, Mark has also secured funding grants for the RSA – announced to be at $250,000 per year for the next four years. This was a higher level of funding than the $75,000 annual contribution made by preceding governments. The funding will mostly go to the medical treatment of veterans, who often return home with behavioral problems like post-traumatic stress disorder (PTSD). 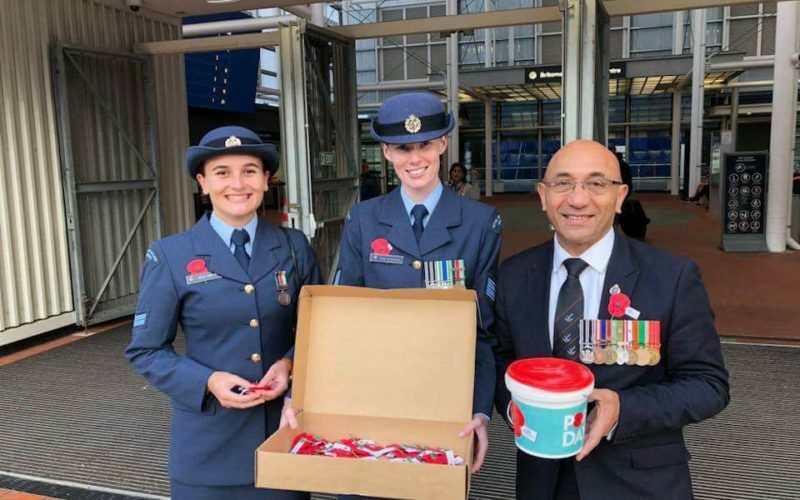 A charity organisation committed to cater to the mental health needs of returning veterans, called No Duff, was pledged grants amounting to $25,000 per year for the next four years by the Minister. These victories for the Veterans’ Affairs portfolio are very significant, and their necessity cannot be overstated. The work that Minister Ron Mark did to obtain these wins should not be overlooked.